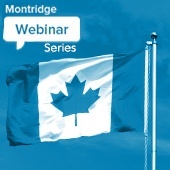 Library | Webinar > Canadian Benefits, Eh? Do You Have Canadian Employees? Foreign-based corporations with Canadian employees frequently have challenges in understanding how employer-sponsored healthcare integrates with Canada’s health care system. Not knowing how coverage coordinates can result in uninsured staff; employer liabilities; and substantial tax consequences. Best practices re: benefits administration. Get access to this exclusive webinar! The information you provide us with is secure, we will not share your contact information with anyone. By submitting your email address, you also agree to receive the occasional email with valuable employee benefits information. You may unsubscribe at any time.